Warmth, tolerance, understanding, space, courage… Seize your opportunities, use your colors. Be a magician with colors! The first day. Still empty, white as the snowdrop flower. Giving color to the New Year starts today, a box full of coloring pencils in front of you. Make it a good year, using your own colors. 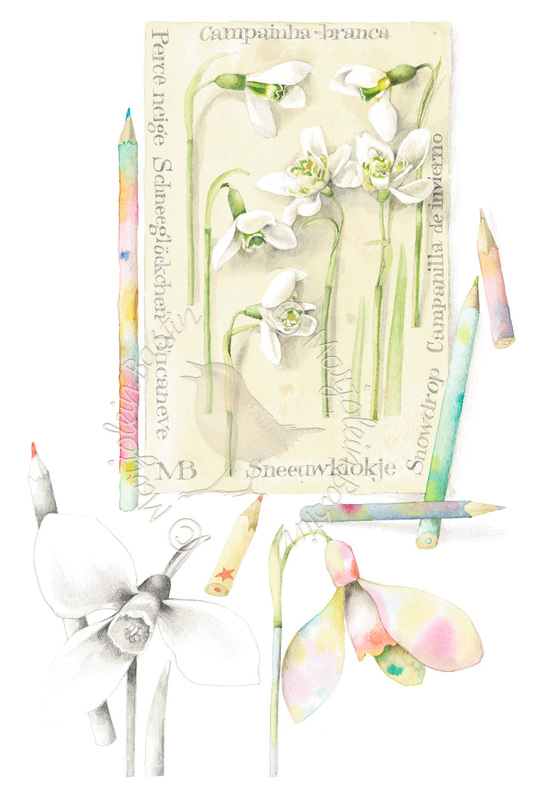 You can make the whitest snowdrop blush!